Norwalk – La Mirada Plumbing, Heating and Air Conditioning offers a wide range of plumbing and HVAC services in the city of Santa Fe Springs. When you need a plumber or A/C contractor in Santa Fe Springs, the best and most trusted company around is Norwalk – La Mirada. Our reputation as one of the best plumbing companies in southern California was earned because of our dedication to our work and our loyalty to our customers. We understand that when you have a plumbing or HVAC problem in your home or office, you need someone there to fix it fast. Our experts at Norwalk – La Mirada are the best in the business. Don’t want for a small issue to turn into a large disaster – call us today! Hiring a professional plumber means a licensed individual. If you have encountered a plumbing difficulty and cannot handle it on your own, then the benefits of hiring a licensed plumber should be obvious to you. Not only will this assure you of a professional approach to work and quality results, but also it will save your money. You wouldn’t have to pay twice for the plumber’s work in case it was poorly performed. You might know a local handyman who claims he can fix your problem for a very reasonable price. Maybe some plumbers who promote themselves in your area are unlicensed, but they declare that a license does not necessarily indicate talent or skill. You should resist the temptation to hire somebody without license unless you are dealing with a trustworthy family member or friend whose work you have seen before. The benefits of professional and licensed plumbers will pay off in the long run. If you are looking for a leading service provider for new construction plumbing, Norwalk – La Mirada is your best option. We present you with plans, conditions, an evaluation (within your budget) and a project schedule before beginning to work on any new construction plumbing project. Your style and vision are considered in fulfilling your project. At Norwalk-La Mirada our team works with your contractor from beginning to end. We’ll lead you through complete new construction plumbing procedure and assist with design, product choice, room planning and installation. In other words, we will find the most suitable and cost-effective way to plumb your home and take care of installation as well. 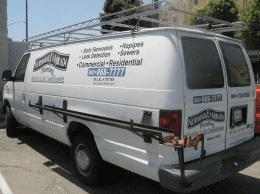 Norwalk-La Mirada is a trustworthy and dedicated subcontractor, able to do everything from plumbing and sewer installations to fixing your bathroom tank. A leaky faucet is something that may drive you crazy during the night. If you do not check and fix the problem in time, it could drain your wallet and you would lose thousands of dollars. Water leaks start unexpectedly and cause extensive damage to floors, ceilings, walls and possessions. If you discover a leak, call a professional plumber and while you wait for him, turn your home’s water off. It’s also important to do it before you try to make any plumbing repairs. It is safe to learn where the valve is located before an emergency occurs. The central shutoff valve lets water flow freely through the pipe when it’s open. Turning this valve off stops the water supply to the entire house. Receive $20 off any service in the city of Santa Fe Springs!